We've had this book for about six months now, and I've been meaning to get a review up here sooner. I promised the publisher I would write one, and we got extremely busy and haven't gotten around to it. It's a fun book, and I would give it a great rating, but the story is a bit weird. 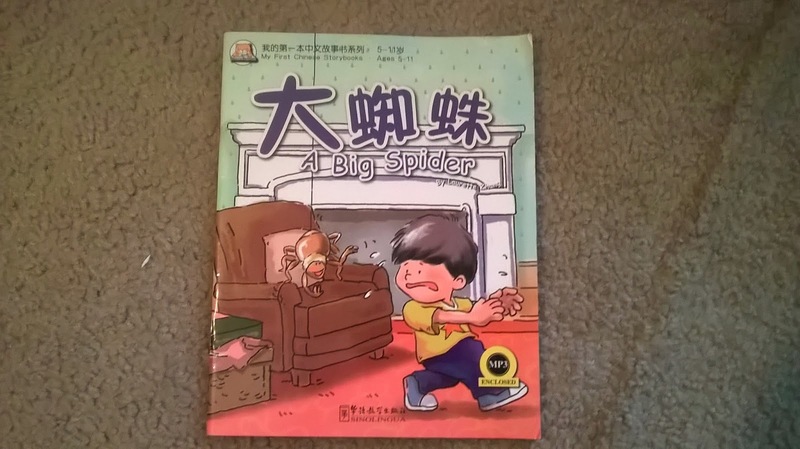 It's about a boy who wants to play in his sister's room and play with her stuff, and the sister keeps lying to him about there being a spider in her room and in her stuff. This lie scares him away and he doesn't mess with her stuff. One day, there really is a spider, and the sister gets scared. She calls for her little brother and he comes in and saves the day, taking the spider outside. Then, brother and sister get along happily ever after. The story never really resolves that it was wrong to lie, and because of this it's a book that I really don't like to read with my kids. It's not terrible, and if you read between the lines you sort of understand that the sister shouldn't have lied, but it's not clear, and that really annoys me. 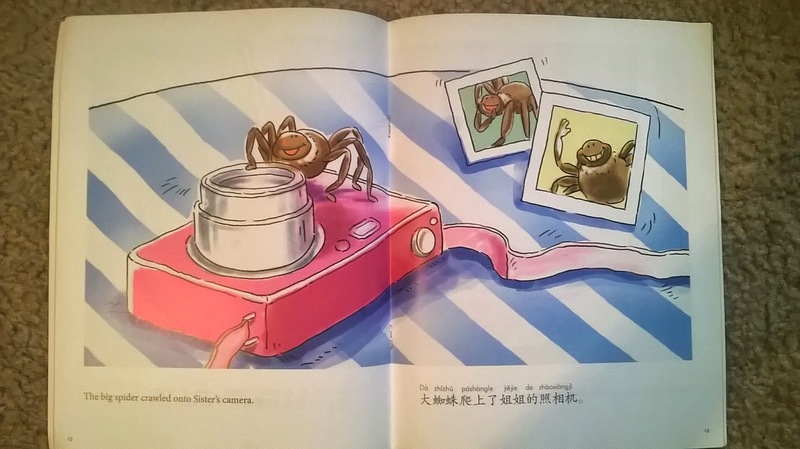 On the other hand, the pictures are fun, and the English and Chinese are both easy to read. 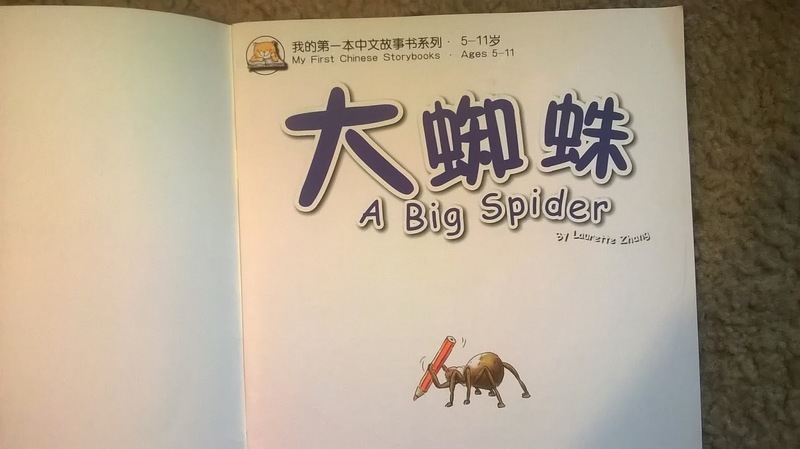 I like that my son can read most of the Chinese by himself. I like that it's a real story and not just silly Chinese history or poems. 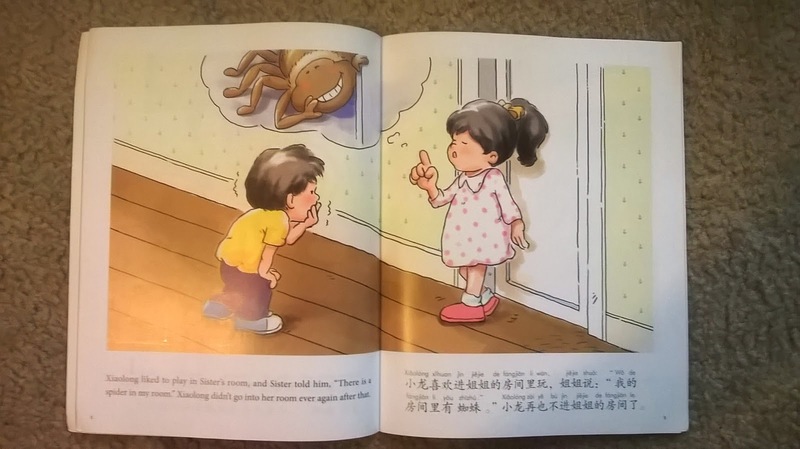 I wish there were more Chinese books like this, but I wish the morals were better in this book as well.